Complete your living room design with this beautifully crafted cocktail table. Sturdy Asian hardwood is finished in a rich baroque brown for a warm, wholesome look and feel. Spacious table top features a mosiac inlay in shades of black, brown, and tan for added visual interest. Display artwork, books, or magazines on top or bottom shelf. Hidden caster wheels underneath the bottom shelf provide easy mobility when moving table. Pair with the matching end table for additional storage and display space. The Baroque Brown Mosaic Tile Inlay Cocktail Table with Hidden Casters by Jofran at Sheely's Furniture & Appliance in the Ohio, Youngstown, Cleveland, Pittsburgh, Pennsylvania area. Product availability may vary. Contact us for the most current availability on this product. Updating your home doesn't mean having to replace every piece. Sometimes all it takes is a beautifully crafted matching set of occasional tables for a fresh, unified look. The 698 Painted Hardwood collection featuring a full set of occasional tables is the perfect choice. Each table boasts a beautiful mosaic inlay for a textured look, adding visual interest with neutral brown hues that have just a hint of shine, like a well polished agate stone. 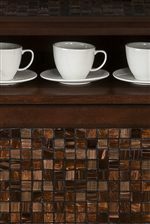 A warm baroque brown finish elegantly complements the mosaic inlays for a wholesome, full-bodied brown color palette. Featuring ample storage and display space, this occasional table collection is the quick fix solution to update your home while keeping a look of balance. The Baroque Brown collection is a great option if you are looking for Transitional Casual furniture in the Ohio, Youngstown, Cleveland, Pittsburgh, Pennsylvania area. 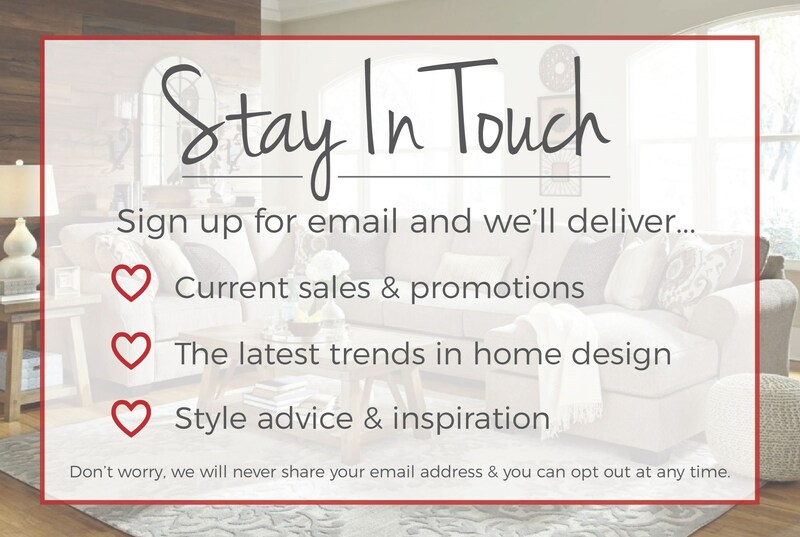 Browse other items in the Baroque Brown collection from Sheely's Furniture & Appliance in the Ohio, Youngstown, Cleveland, Pittsburgh, Pennsylvania area.